Add some truly original fun to the 4th of July fireworks with our sweet salute to America. 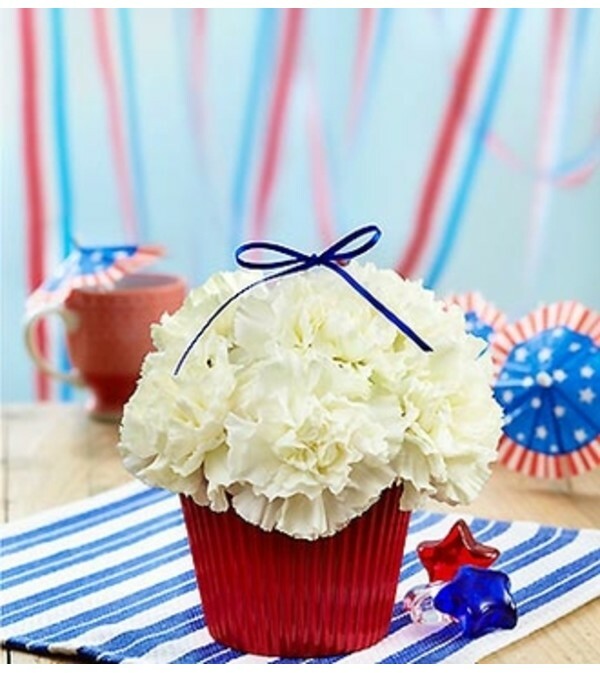 Crafted in the shape of a cupcake by our expert floral designers, this fresh arrangement of white carnations in a red cupcake container is beautifully finished with a satin ribbon that’s true blue. 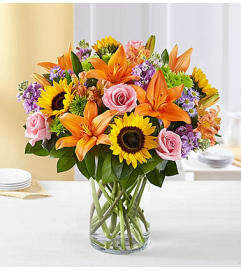 A great way to send smiles for birthdays, parties, or to use as a whimsical tabletop centerpiece. 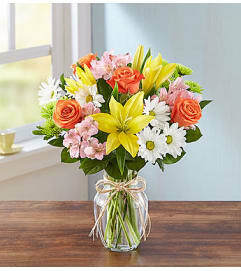 No-calorie cupcake-shaped arrangement of the freshest white carnations.